With racial tensions in the neighborhoods, Boston’s embattled mayor attempted to get to the root of the problem. He convened a dialogue on racism, instructing a 13-member committee to examine the sources of violent unrest and serve as a “neutral listening device” for opposing points of view. The exploration, which unfolded 40 years ago during Kevin White’s tenure, could serve as a backdrop for Mayor Martin J. Walsh, as he launches on Saturday the first in a yearlong series of citywide talks on racism in his administration. White’s short-lived committee huddled for meetings at the central branch at Boston Public Library in the spring of 1976. But after the group released its findings, most of its recommendations collected dust — and the work of the committee faded in the record books. Boston, where people of color now make up the majority, still struggles with the same issues the committee tackled back then: gaping income and political disparities that fall along racial lines. A recent study found Boston tops the list of major US cities with the most income inequality. “The first thing Walsh has to do is to study failure,’’ said state Representative Byron Rushing. To succeed, Rushing said, Walsh must heed lessons from the past. He must have an unwavering commitment to closing the racial divide, even when fervent supporters fade. Wayne Budd, a lawyer who like Rushing has been active in Boston’s civil rights efforts, said the good intentions aimed at resolving racial matters did not survive the test of time. 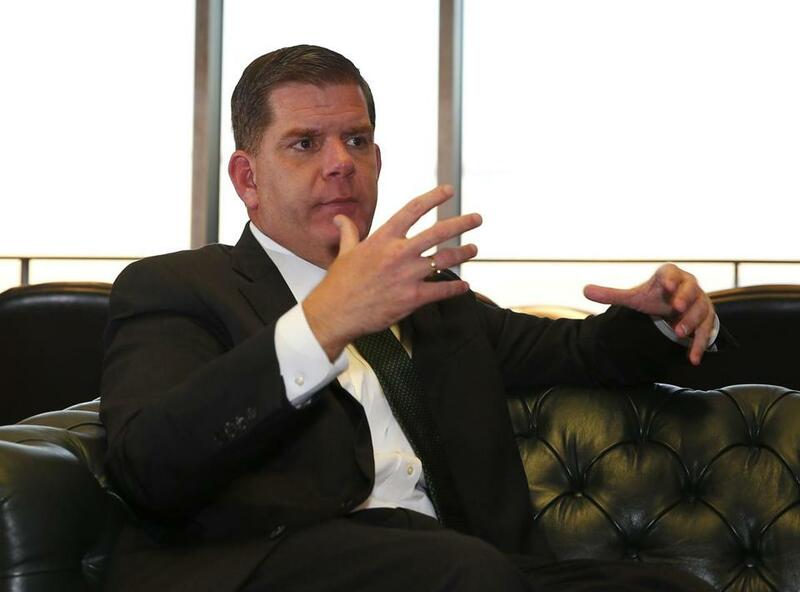 Walsh said he was inspired to launch the talks after a stop during his 2013 mayoral campaign. A Jamaica Plain woman had pressed him about whether he thought Boston was a racist city. His reply: Boston is not a perfect city, but it’s better than it was. Later, Walsh and his campaign policy team decided to pursue conversations on race if he became mayor. In his first year in office, he received a grant to hold the dialogues and appointed Atyia Martin to lead the effort. Recently, he made a pitch to business leaders to commit to diversifying their workforce. To some, the scars from Boston’s legacy of school busing remain, decades later, and those divisions have been exposed anew by the presidential campaign. Over time, he added, the conversations will become embedded in everyday society, encouraging better understanding across races. The dialogue kicks off Saturday at the Cutler Majestic Theater, where the city plans to outline its plans for future talks. The city will hold more talks next year and work with individuals throughout the neighborhoods to facilitate other dialogues, officials said. Martin, the city’s chief resiliency officer who has already been leading private talks with local leaders, said the discussions allowed people to freely express their thoughts and feelings. Now is the crucial time for these conversations, she said. “The rhetoric from the political campaign . . . tapped into the fact that there are people who felt they weren’t heard, their struggles weren’t clearly acknowledged, and a lot of that were along racial lines,’’ she said. Their struggles, she said, should all be heard. 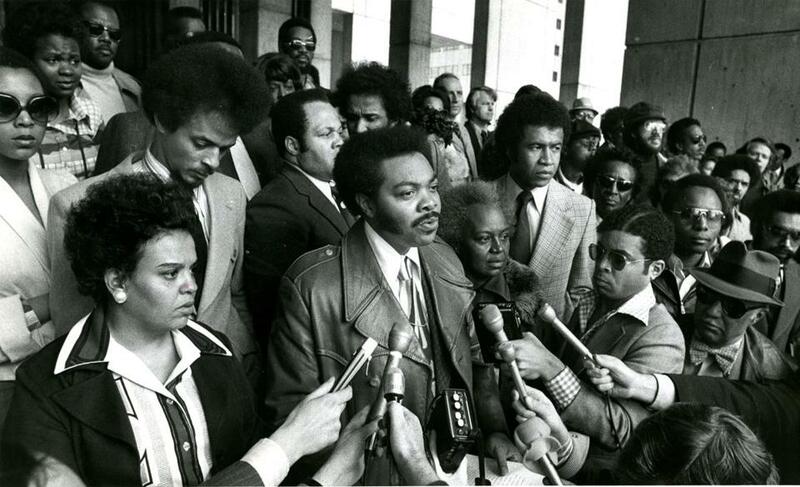 State Senator William Owens (center) spoke at a press conference about racial violence in 1976. State representatives Doris Bunte and Royal Bolling Jr. (left of Owens) and state Representative Mary Goode (right of Owens) were also present. Forty years ago, White was leading a city rocked by violence. Two years after a judge ordered the schools to be desegregated, angry residents were still throwing rocks at yellow buses in South Boston and at cars in Roxbury. In April 1976, a group of white youth attacked Ted Landsmark, an attorney who is black, on City Hall Plaza. One of the teenagers used a pole carrying a US flag, in a scene captured in one of the most memorable photos of the era. After the incident, White convened the Mayor’s Committee on Violence, telling reporters that he needed to find some avenues for better dialogue. But with so many of the city’s policies — in the police, school, and fire departments — requiring federal action to force desegregation, Landsmark said he wasn’t sure if White’s committee would work. The Rev. Walter J. Waldron, then a 36-year-old priest at the Cathedral of the Holy Cross, said White was a “take charge” mayor who wanted to address the issue. “This was his city and he had to take responsibility to make things the way they should be,’’ said Waldron, who now leads St. Patrick’s Parish in Roxbury. The committee interviewed top and controversial figures in the city, including Louise Day Hicks, the contentious City Council president, and Mel King, then a state representative in the South End. It produced a report, published June 25, 1976, in the Globe, that described a School Committee that didn’t fully represent the community and a “them-against-us” attitude in some neighborhoods. And it urged more diversity in the Police Department and stricter law enforcement in the neighborhoods. “The people of Boston are tired and angry,’’ the report said. Hubie Jones, who was on the committee, recalled meeting with the mayor in the Copley library and making it clear that he needed to take a more forceful public posture about easing racial tensions. Jones said he left the group feeling disillusioned. 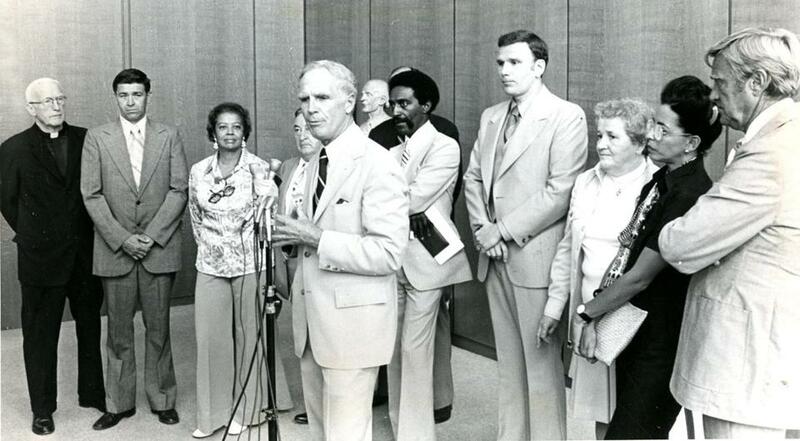 Under fire for not moving fast enough on the committee’s recommendations, White created the “Committee for Boston” to serve as a forum for neighborhoods with racial tensions in August 1976. That group had been recommended by the Mayor’s Committee on Violence. More than 40 years later, Walsh said the city is still trying to turn a corner. 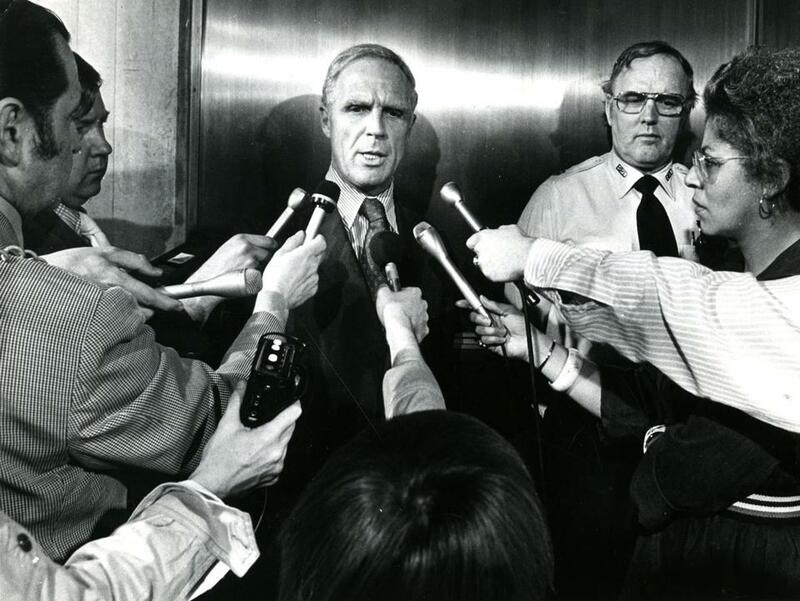 Boston Mayor Kevin White and Boston Police superintendent Joseph Jordan spoke at a press conference on racial violence in 1976.